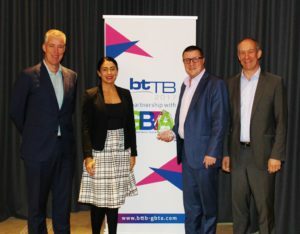 The winners of the BTTB-GBTA Travel Management Awards have been announced in a highlight of the BTTB 2017 Annual Conference at Royal Randwick Sydney. There are two Awards, one for the Travel Programme of the Year (Buyer Award) and one for Travel Partner of The Year (Supplier Award). In announcing the Awards, Nigel Wardropper, managing director at btTB read the following citations based on the comments from the judges. About the WoAG submission: “WoAG is very complex with over 100 sub-accounts and many areas of higher risk, national security and special needs. They have nevertheless stretched their TMC – QBT – to beyond usual best TMC capability – with robotic tickets in credit, auto refunds that reduce costs, And dynamic discounted OTA rates and over 90% use of OBT for domestic and international flights booking. 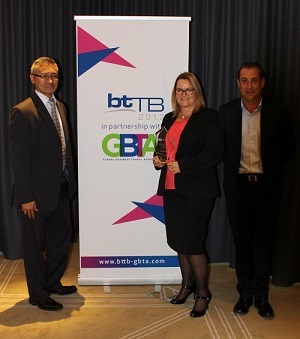 The Awards were presented by Mike McCormick, Executive Director and Chief Operating Officer of GBTA. A big thank you to the judges and to all of the other teams, both from the buy and supply sides, who submitted entries. Perhaps next year!